The sun is shining, the temps are rising, and it’s time to put on our hiking boots and appreciate the beautiful outdoors. But don’t head out without your four-legged friend; they’re itching to enjoy the spring air with you! Outdoor opportunities you can enjoy with your dog abound. When taking Fido with you to explore, be aware of trail etiquette, safety factors and leash laws. 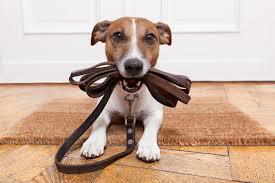 Most communities require dogs to be on a leash not to exceed six feet in length. The leash law keeps your dog safe from run-ins with wildlife and vegetation. In addition, it helps others feel safe on the trail who may not know that your dog is friendly or, worse yet, may have an unfriendly or timid dog with them. • The more exercise a dog gets, the easier leash training will be. • Positively reinforce your dog walking close to you by being generous with high value rewards (like good treats). • Play red light/green light: If the dog begins to pull, stop and wait. If they stop and loosen up, reward with a treat and then proceed. 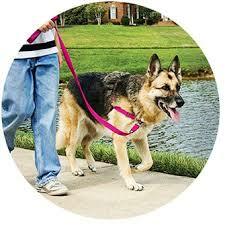 • Before your dog gets to the end of the leash to pull, lower your leash and move backward a step or two. 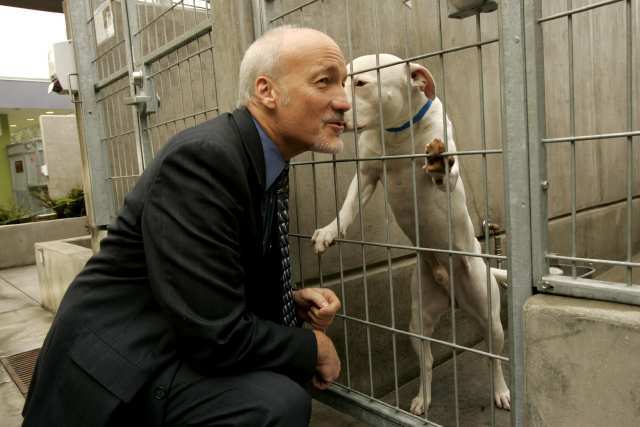 Reward your dog when he comes back to you. If repeated enough times, dogs will learn that any tension on the leash will only delay them from getting to what they want. I mentioned run-ins with defensive wildlife and one concern on nearly every pet owner’s mind when they put on their hiking boots is the rattlesnakes. Rattlesnakes are particularly active in the springtime and it’s important to be attentive. There are some helpful precautions you can take for your four-legged hiking buddy, one of which is a rattlesnake vaccine. While the canine rattlesnake vaccine won’t make your pet immune to all effects of a rattlesnake’s venom, it can give you extra time to seek medical attention for your dog and may lessen the need for antivenin. That’s a big benefit, for your pet and your pocketbook. Call your veterinarian to learn more about the canine rattlesnake vaccine. 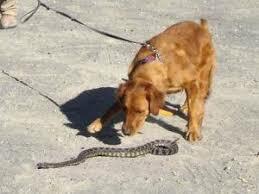 Another safety measure you can take is rattlesnake avoidance training. Rattlesnake avoidance trains your dog to recognize and avoid the sight, smell and sound of a rattlesnake, which can be a lifesaving skill that can protect not only your dog but for you as well. Ask your local Pet Emergency Hospital if they know who is offering a community class on Rattlesnake Avoidance Training. Be sure to also keep the temperatures in mind and provide plenty of water for your dog.